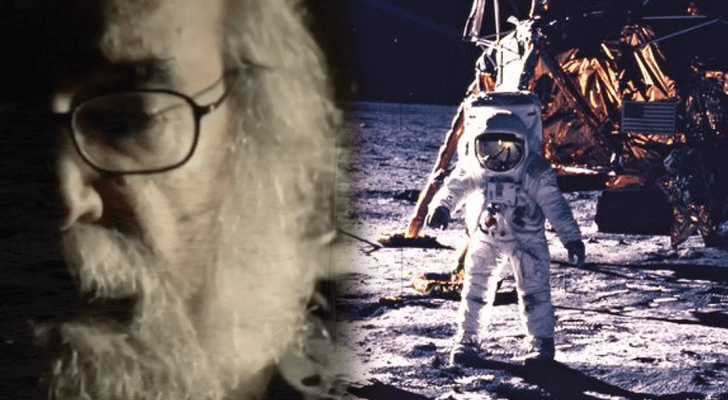 Home » Stanley Kubrick Admits He Helped NASA Fake Moon Landings In New Film? There has been a new video going around let out by an alleged filmmaker T. Patrick Murray which allegedly shows famed director Stanley Kubrick giving an interview admitting that the moon landings were faked.We thought we would try and bring some clarity to it as most times we’ve seen it posted around the internet it’s been very unclear. Why all the ‘alleged’ talk? Because it has been tough to verify most of these details, given the type of film this is and how it was released. If real, it appears as though the filmmaker was fearful about the release and thus made it difficult to trace and track further details. I intend to continue to track down the filmmaker and release updates as I get them to verify if this is in fact real. Update 1: So far it appears this interview may be staged but I haven’t been able to get anything back from the channel yet to verify anything. I should mention that I have been looking into the moon landings for years. I’ve scoured hundreds of videos and many interviews and after it all my belief is that humans have certainly gone to the moon, but I do not believe that the initial missions we saw on TV were legitimate. I do believe astronauts in some of the later Apollo missions went to the moon, but I am not convinced on Apollo 11. I believe it was part of a program to get funding for weapon building and more while entering into a “for fun” race with Russia to see who could get to the moon first. I’m not going to go into all details about this as it can go on forever, instead I will say if one were to truly look into all evidence gathered over the period of time since the initial moon landing in 1969, one would be forced to reach a truly striking conclusion: it is quite unclear if it actually happened. The topic has been debated for many years and evidence has been presented on both sides. Looking at both sides of the argument objectively, you could easily walk out with a conclusion on either side – and that’s kind of exciting to me. It means the trek to a mysterious place in our solar system is just as mysterious as the place itself. Unlike the events of 9/11, where the evidence and information available certainly discredits the official story, the moon landings have a different feel and to be honest, if this Kubrick interview is in fact legitimate, it is the only piece I have been able to find that would fully confirm my belief in what happened in 1969 with the moon landings. The Space Race took place between 1957 and 1975, and it involved a race for supremacy in space exploration between the Soviet Union and the United States. Around the time of the alleged moon landing, the Soviet Union was leading this race, having logged over 500 more hours in space than the US. In June 1969, they were the first to launch an unmanned spaceship to the moon in order to gather the first ever soil sample from a world other than Earth. As fate would have it, their lunar probe crashed on the moon’s surface and so it was unable to bring back the sample. The Soviets were also first to launch the first satellite, first animal, and first man into space. They followed these feats with the first space walk, first crew of three in space, and the first ever mission with simultaneous spacecrafts in space at one time. The Soviets had a stranglehold on the space race and the US was not pleased — at least on the surface. I say this because I believe that, behind the scenes, the US and Russia were working together, much like they always have. To the public and even government, however, their relationship appears quite different. Given there was a great deal of political promise during the time, fear began to develop in the minds of US political personnel as it became a reality that the US would likely never catch the Soviets. Considering the incredible amount of tax-payer money that was going into the Apollo program, however, success of the program was of utmost importance. This desperation is one of the reasons skeptics first began exploring the truth of the moon landing, as human ego and the thirst for pride, along with possibly even more reasons, could explain why certain events took place during the Apollo missions that don’t have the most clear explanations. Months after the Soviets had launched their initial probe to the moon to obtain the soil sample, it was reported that Apollo 11 had landed on the moon and Neil Armstrong took the first steps any human had ever taken on the moon. This immediately shot the US to the top of the space race, and the world was stunned. But not everyone believed this to be true. The debate over the moon landing’s legitimacy has been going on since before the shuttle even launched. Many were already suspecting that either country would try to outdo the other by any means necessary. Apollo 1 – Target launch date Feb 21st, 1967. Cabin fire during testing on Jan 27th 1967 killed the crew and the mission was shut down. Apollo 4 – Launched November 9th, 1967. An unmanned mission to test flight into space. Apollo 5 – January 22nd, 1968. A test flight of the lunar module into earth’s orbit. Apollo 6 – April 4th, 1968. An unmanned test flight into earth’s orbit. Apollo 7 – October 11th, 1968. A three man crew launched into earth’s orbit for 11 days. Apollo 8 – December 21, 1968. A manned mission to space. Orbited the moon 10 times. Apollo 9 – March 3rd, 1969. Manned mission in low earth orbit to test lunar landing module. Apollo 10 – May 18, 1969. Manned mission towards moon. Lunar landing module was tested once again. Apollo 11 – July 20th, 1969. The famous shuttle that allegedly landed on the moon. Apollo 12 – November 14th, 1969. 2nd spacecraft to allegedly land on the moon. Apollo 13 – April 11th, 1970. Manned mission to the moon, technical issues caused the mission to end early. Apollo 14 – January 31, 1971. 3rd spacecraft to land on the moon. Apollo 15 – July 26th, 1971. The 4th spacecraft to land on the moon. Apollo 16 – April 16th, 1972. The 5th spacecraft to land on the moon. Apollo 17 – December 7th, 1972. The 6th spacecraft to land on the moon. In total the program claims to have visited the surface of the moon 6 times before oddly shutting the project down for good. This is not the first time Kubrick has been linked to the moon landings. There have been a number of theories going around that link Kubrick to the landings, with some even claiming that he tried to reveal the truth in his movie The Shining by placing clues in the film. Perhaps the most plausible clue is the scene in which Danny wears this Apollo 11 sweater, but generally speaking, the evidence supporting this theory is quite limited. However, if Kubrick was in fact most proud of his work on the moon landing, as he allegedly states in the interview below, it would not surprise me that he would put clues like this into his film. Also, in the original release of 2001: A Space Oddesy, there were a number of credits thanking NASA and many of the aerospace companies that worked with NASA on the moon landings. These credits have since been removed from all subsequent releases of 2001. One last interesting factor with Kubrick was that his movie Eyes Wide Shut was released on July 16th, 1999. Stanley Kubrick insisted in his contract that this be the date of the release. That may not seem interesting unless you know that July 16th, 1999 marks exactly 30 years to the day since Apollo 11 was launched. This is a transcript of the interview with Stanley Kubrick and T. Patrick Murray for the movie Shooting Stanley Kubrick. Is it Kubrick in the film below? Here is a photo of him in the 1990’s that I was able to dig up.